Arif Alia��s new film promises the most thrilling five minutes of your life. IT IS the season of firsts for Arif Ali and singer Sunidhi Chauhan as the latter is set to debut as an actor in Arifa��s first short Playing Priya. Arif (41) who last donned the directora��s hat for Lekar Hum Deewana Dil (2014) that didna��t charm the audiences, is excited about his new project and the trailer sure looks promising with an eerie sound track. a�?Feature film takes a long time and is a serious commitment, but a short can even happen overnight. So, when the idea came to me of this film, I decided to act on it quickly and bounced it off Sunidhi who got equally excited,a�? begins Arif, filmmaker Imtiaz Alia��s younger brother. Playing Priya revolves around Chauhana��s character who is enjoying some a�?me timea�� in an empty house when something unexpected happens. Talking about why Chauhan was right for the role, Ali says, a�?When I came up with this idea, the first person who came to my mind was her. Sunidhi and I have a penchant for dark movies a�� we connect really well on that. She wanted to give acting a shot and I wanted to make a short story. It was win-win.a�? 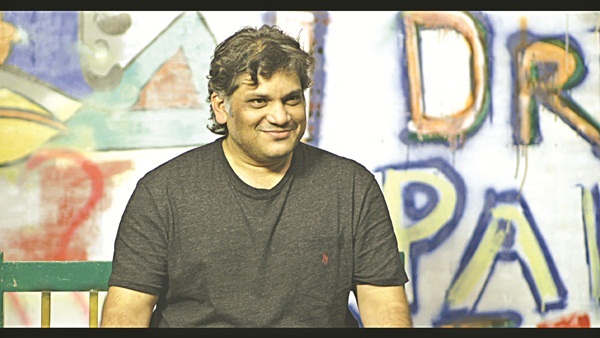 The director who always discusses his work with Imtiaz says his big brothera��s opinion is valuable. A Hitchcock fan, Arif would also like to make comedy and character complex movies. Also working on a romantic feature film with a twist, he says,a�?With the ever growing number of smartphone users and the evolution of taste and consumption patterns, the future seems to be quite bright. However, I feel that one has to be quite smart and focussed on and about what they are making because there are or will be so many options for the viewers that they wona��t tolerate anything even slightly under par. The new found spotlight ona�?contenta�� in this medium is the game-changer.a�?